The NSW GBOTA, Richmond GRC and Newcastle GRC, in conjunction with GRNSW, are to implement and test finish on lures and hoop arms in the immediate future. 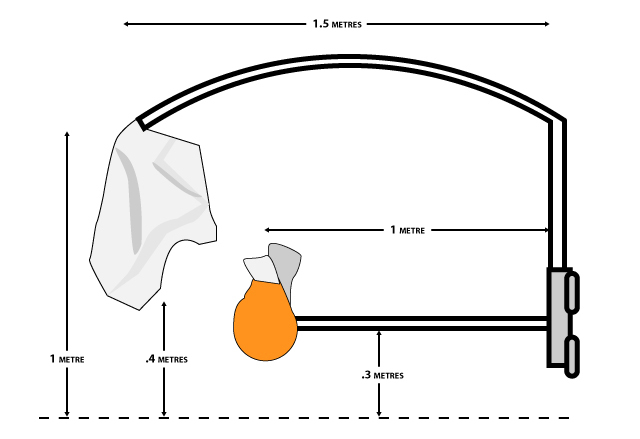 Following a review of the Working Dog Alliance’s report, and interstate data, GRNSW and the NSW GBOTA have sourced a number of South Australian hoop arms and GRV style hoop arms for use and assessment. Assess the impact on race interference when utilising a wider racing arm. Assess the impact on chasing tenacity arising from provision of finish on lure racing. The results of the tests will be monitored and measured by GRNSW from both safety and performance perspectives. Finishing on to the hoop arm in trialling will be limited to Gosford and Richmond race tracks with an introduction into racing expected, subject to the result of trialling, and GRNSW approval. While at Wentworth Park and The Gardens, testing will focus on the impact a wider arm has on minimising racing interference. In addition to the review of the various arms and finishing styles, assessment of muzzle use will be undertaken to ensure the overall safety can be best achieved for the greyhounds. Tara Greyhounds will be on course at Gosford Greyhounds on Friday, January 1 with a selection of wire and nylon muzzles endorsed for finish on racing. Gosford and Richmond tracks also expect to have a selection of Millers’ five wire muzzles available from early January. A schedule of testing (trials) at Gosford and Richmond is provided below for the benefit of participants. Both Clubs will offer a range of free trials, with particular focus on encouraging trainers to test the system in field trials. Muzzles will be a requirement of the testing process, with no greyhound permitted to trial without a muzzle. 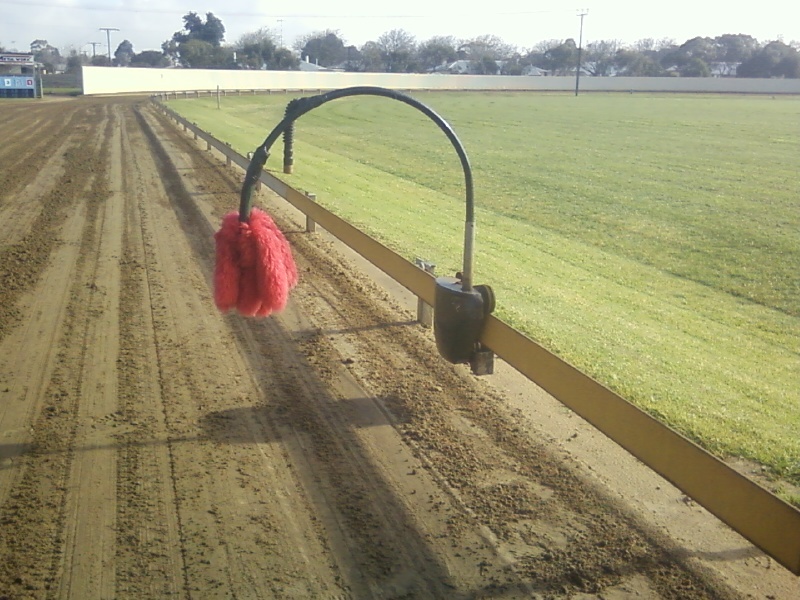 Both venues will run with the South Australian style hoop arm in the first stage of testing prior to changing over to trial the GRV arm for a block of time. Subject to the success of the trial sessions, and GRNSW approval, both Gosford and Richmond expect to commence finish on lure racing in February. At Wentworth Park and The Gardens, the testing will focus on the wider arms, with runners to still finish into the pen post race. As a result catching pen gates are in the process of being altered to allow a sliding gate to close behind the wider lures. Given Wentworth Park’s schedule of Group Racing, it is expected to commence racing with the GRV arm from February, with the arm to remain in place throughout March which includes the Golden Easter Egg carnival. The Newcastle club is expected to introduce racing behind the wider arm to a similar timeframe and further details will be announced in the near future. NSW GBOTA Chairman, Geoff Rose, described the testing of wider arms and the finish on lures as extremely positive news. “Both initiatives have the potential to provide safer racing with less interference,” said Mr. Rose. “And there is a widespread belief that finish on lure racing has a place in modern day racing, and will assist with chasing commitment. “It is really encouraging that four venues and GRNSW are working towards proper testing of both initiatives in a structured manner. Further information can be obtained directly from the venues involved in the trialling procedures.